Quick Question About Thor 2? 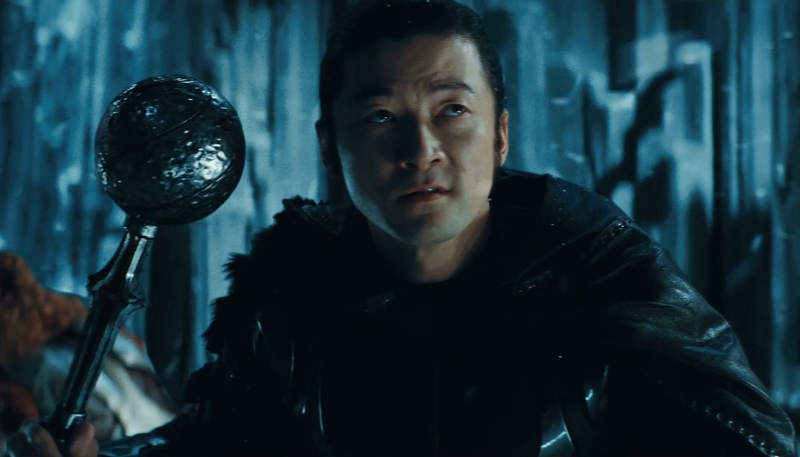 Something that I've always been confused of in Thor 2 is why was the character of Hogun written out of the film? He's in the opening fight then told by Thor, "Hey piss off! Be with your people!" Why? Seems odd they would just write him out with seemingly no reason and no-one, not even the rest of the Warriors Three care or mention him again. Even after the Asgard attack is he brought back to help fight. Does anyone know the reason why because my googlefu failed me and it just seems weird that the only main Asian is written out of the fun.